Benedict resigned freely. How do we know this? He said so himself. It was not a retirement made under the pressure of events or a flight made due to the incapacity to face them. No one tried to blackmail me. I would not have allowed it. If they had tried, I would not have gone because it is not right to leave when under pressure. So there; that settles it. Even so, just for fun, let’s apply some common sense and logic to this most unprecedented of situations. Imagine, if you will, a hypothetical scenario wherein a reigning pope really does offer his resignation under pressure; i.e., the act is not freely made and therefore invalid. Now, is this scenario too farfetched to even bother considering, as some might suggest? Obviously not; in fact, the Code of Canon Law (332 §2) addresses precisely this possibility, and so we have to conclude that it is not too farfetched to consider. – Three years later, this pope grants a book length interview. – During the interview, he is asked whether or not he was blackmailed into resigning. OK, now dust off your common sense and logic and tell me: What do you think this “former” pope is going to say? Yes, I was blackmailed by fill in the blank. They threatened to fill in the blank if I didn’t resign. No, I was not blackmailed. I would never succumb to such a thing. QUESTION: Does anyone in their right mind really believe that the “former” pope in such a scenario is going to give answer #1, thus inviting fill in the blank to make good on precisely the threat that caused him to flee in the first place? Clearly, one would have to abandon common sense and logic entirely in order to believe that the answer is yes. Even so, I have no doubt that the majority of Catholics will consider the matter utterly and entirely settled; taking their rest in the illogical supposition, Benedict resigned freely, he said so himself. If Benedict’s words tell us all that we need to know, then we must admit that all of his words have a story to tell; not just the ones that resonate with what we want to believe. With this in mind, let’s consider what else Benedict had to say. However, in today’s world, subject to so many rapid changes and shaken by questions of deep relevance for the life of faith, in order to govern the barque of Saint Peter and proclaim the Gospel, both strength of mind and body are necessary, strength which in the last few months, has deteriorated in me to the extent that I have had to recognize my incapacity to adequately fulfill the ministry entrusted to me. Wait a minute? Did he resign “due to the incapacity to face” the unnamed “questions” before the Church such as they were in February 2013; in light of “the pressure” brought to bear by those then current “events” – or not? Look, if you wish to hang your hat on Benedict’s words, by all means, have at it, but please don’t embarrass yourself by suggesting that his words put the matter to rest when, in fact, the exact opposite is true! The man is plainly saying, I did not resign for the reasons I gave in the Declaratio. If Benedict hasn’t raised enough red flags already, get this. He was an archbishop for a long time, he knows the trade. He was a superior of Jesuits and has the ability to put his hands to action in an organized way. I knew that this was not my strong point. OK, so he knew that organized action wasn’t his strength. Fair enough, but doesn’t his manner of speaking suggest that he also knew for whom he was stepping aside; namely, this Jesuit who supposedly had just such an ability? It sure sounds that way to me. No one expected him. I knew him, naturally, but I did not think of him. In this sense it was a big surprise. I did not think that he was in the select group of candidates. Catholic journalist Paul Baade, who is very well known in the German speaking world and almost certainly by Ratzinger who claims to be a “newsy,” had written all the way back in 2005 about the St. Gallen’s group (or what Cardinal Danneels bragged about being a “mafia club”) that strove to place Jorge Bergoglio in the Chair of Peter. Are we to believe that Benedict never heard of such a thing? Furthermore, while it remains speculation, it has been widely reported that Jorge Bergoglio was the runner-up to Cardinal Ratzinger in the 2005 conclave. Heck, even George Weigel (who is rather close to Ratzinger) concedes that Bergoglio “took the silver medal” in that conclave. And yet, Benedict is at pains to make us believe that the Argentinian Jesuit never crossed his mind in 2013? The Pope Contemplatus doth protest too much, methinks, but you can decide for yourself. In fact, thanks to God, I was in a peaceful state of soul, of one who has overcome the difficulty — the state of soul in which you can tranquilly pass the helm to who comes next. What exactly is “the difficulty” he needed to overcome? Apparently, it wasn’t the difficulty of admitting his incapacity to face the Church’s issues as he once claimed; that he already confirmed. So what was it? He doesn’t tell us, but what he does say is that he left the papacy, thus rendering the See of Rome vacant, only to be filled with the “big surprise” election of Jorge Bergoglio. And yet, he speaks of tranquilly passing the helm to who comes next? What really happened here: Did Benedict “pass the helm” to Jorge, or did the conclave pick a surprise successor? Make of it what you will, but let’s be clear folks: Popes don’t “pass the helm” otherwise known as the papacy to anyone under any circumstances. Non e’ come la cosa nostra lavora – that’s not how this thing of ours works. Like it nor not, Benedict has plainly admitted that the reason he gave for resigning on 11 February 2013 is not the truth; i.e., he acted as he did for reasons he is either unwilling, or feels unable, to reveal. If that strikes you as a resignation “made freely,” you may want to avoid operating heavy machinery and handling sharp objects. 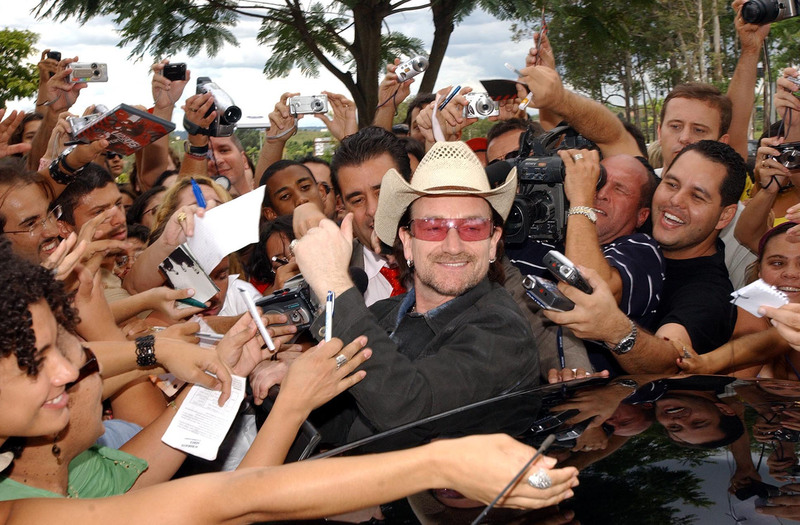 Who does Bono think he is, the pope? Louie, the problem with your theory is that the Church has accepted Francis as Popes. Theologians are unanimous that is a moral unanimity of the Church accepts someone as Pope, then we are infallibly sure they are Pope. Benedict-Ratzinger is 90 years old. Will those who hold him to be the true Pope, and Mr Bergoglio as an antipope, take up sedevacantism when Joseph Ratzinger is summoned to the particular Judgement? I don’t wish him to die, and hope he lives long enough to come back to the Catholic Faith by publically renouncing his heresies and acts of public apostasy, but time may well be up for him. What then? No error was made with publically. No, it applies in all cases. It is always suppose to be an infallible sign and cause of the Papcay. If Benidect invalidly resignated, then God would have severed the bound of the Papcay from him when the Church accepted Francis as Pope. Precisely. And EVEN IF Benedict was blackmailed/forced, this universal, peaceful acceptance of Francis as Pope would heal any defect in form in his election in any case. The fact remains that Pope Emeritus Benedict did resign, whether by his own volition or with a gun to his head. The Sacred College of Cardinals accepted his ‘resignation’ & the new appointment & have been complicit by their silence since. It is a pity that the suggestion of an expanded papacy was put forward by Archbishop Gänswein as there can be no such thing. Papal Infallibility lies with the Pope of the day which is, at present, Pope Francis. It cannot be divided. Nor can it be passed on to Synods of Bishops throughout Christendom. It was a specific authority given to St. Peter over the other apostles & must continue in this way. Why is it that PB still wears the regalia of a Pontiff & PF is not obliged to? Another conundrum, but at this stage I am sick of the pair of them. A resignation made out of grave fear that is inflicted unjustly OR out of malice, SUBSTANTIAL ERROR, or simony IS INVALID BY THE LAW ITSELF. I got that from Ann Barnhardt’s blogpost on why Francis is not the pope. Roman Pontiff, whether or not he believes it or likes it. ….Ratzinger truly believes – wrongly – that BOTH he and Bergoglio are “participants in the Petrine ministry”, and thus that he does NOT think that he is schisming the Church. I see why Mr. V. thinks it’s important to pursue these questions of Benedict’s intentions and veracity regarding his resignation, as we are all greatly affected by our not knowing what’s going on in that regard. But I have to say that it seems Ganswein’s remarks on the shared papacy matter a whole lot more right now, because of this Cannon. And I don’t understand why the press isn’t grilling Benedict about it. Has he even mentioned it in public yet? In fact, that’s precisely _not_ what his very own Latin actually said, as per Fr. Kramer and Violi analysis, and as confirmed by +Gaenswein. Indeed, we have many “facts”, … but the picture they paint is far from convenient or comfortable! I always believed the Papacy was for life & was as dismayed as everyone else when PB ‘resigned’. The silent acceptance of this & the ‘election’ of PF by members of the Sacred College of Cardinals followed by their ongoing silence, plus the acceptance of the people of Rome, has now determined that PF is Pope (Antipope) & was given this responsibility by those who are charged with electing a Pontiff. Our opinions are of no relevance. Historians will sort it out when we are all gone to our graves i.e. if God doesn’t intervene in the meantime. Besides, it has all been predicted & the enaction is now taking place. IMO all Popes since VII are questionable to say the least & all have displayed heresy & blasphemy in their preaching & actions – Assisi, Blue Mosque, False Ecumenism, cosying up to infidels, all can get to Heaven, no Hell, etc. None have been worthy of the title Pontiff. PB’s writings are very Modernistic. We must remember that the Seat of Peter still resides in Rome & Our Lady did not advise us to leave even though She predicted that Rome would lose the faith. In God’s time Rome will regain the faith once more & ‘go & teach all nations’. We are just playing a waiting game at the present. Our trust & belief in Our Lord’s promise to be with His Church until the end of time & Our Lady’s Triumph will see us through. I’ve done some more research on this topic, and I still believe we are free to denounce the errors being taught, in order to warn people, but according to this link below, it is “usurpation of authority” if we cross the line into formally judging Francis as a heretic, which still can be done, but by a Church authority, not individual laymen. Uh, no. The fact is–as Louie has pointed out–that if the resignation were under duress or threat, gun or not, his resignation is not valid. He might not have, therefore, really resigned. I agree with Louie that he has been sending mixed signals time and again. Contrary statements make each more visible and questionable. I also have wondered how much that is reported to have been said by Benedict (or written) was actually really the product of Benedict, especially those things coming from the Vatican Press (Propaganda) Office. But I now worry about this: having made the public (not very convincing) statements about his buddy Bergoglio and the swell things he has done to “protect” him and make him “safe” and now having supposedly said/written things in the interview/book that can only please the Bergoglio gang, what’s his value to them anymore. If Benedict’s health suddenly declines and he leaves this earth, check the Vatican medicine cabinets and watch for the beatification paperwork to be processed. Now, ultimately, I personally think a pope should probably go before the cameras, reveal all, speak in defense of the real Church and threats be…darned. Then it goes from apparent complicity and weakness to potentially glorious martyrdom. But in any case, I think what has been going on is a really round-about way of pointing out that Bergoglio is, indeed, an anti-pope. While we are on the topic of B16’s resignation, perhaps we could take some time out to ponder the other “unknown”—who really killed Kennedy??? Are we sure we could ever know the TRUTH about anything? At this point, would it make a huge difference to know the answer to either of these questions? With regard to B16 and PF, I’m sick of the pair of them also. Let’s try to figure out a way to stay aka Catholic in the midst of this mess. Well, It makes just a small difference between who the real pope as of 2016 A.D. actually is. It makes a difference as to whether all of Francis-Bergoglio’s acts have been invalid for the past three years. It makes a difference as to where infallibility may still be found. It makes a difference as to what needs to happen to elect a successor. All small matters? No, it is no small matter and I do not intend to minimalize the importance of these events. However, the toothpaste has been coming out of the tube for more than 50 years. How do you put it back no matter what truths are revealed about this pseudo-church? By recognising this “pseudo-church” as exactly that. The Catholic Church on the other hand is indefectible and indestructible, and thus remains untarnished throughout the mess of the past 50 years. What has happened, has not happened to the the true Church, because the true Church cannot change in the way that the Novus Ordo Church would have us think. This audio conference is worth the investment of one’s time. A clear, intelligent and moderate presentation for one’s consideration by John Lane and John Daly. It gives clear guidance on how to remain consistently Catholic in these dark times. So now we have the designer Papacy, an expanded Papacy, one created by man for man…these poor deluded apostates actually think they can make the One Holy Catholic Apostolic Church Of Jesus Christ whatever they choose….hey why not, they destroyed the Holy Sacrifice of the Mass and they continue to assist satan every which way but loose in the destruction of souls. No absolutely not…they do not have the power to change the Papacy ! I know nothing of Canon Law but I do know that whether Pope Benedict admits it or not , regardless, he is still the Pontiff and given his actions it is safe to assume that he is certainly running from the wolves and I would not expect him to admit the truth. He is old and no doubt frightened and while I am so upset with him , I could spit nails! my heart breaks for him because he will have much to answer for. 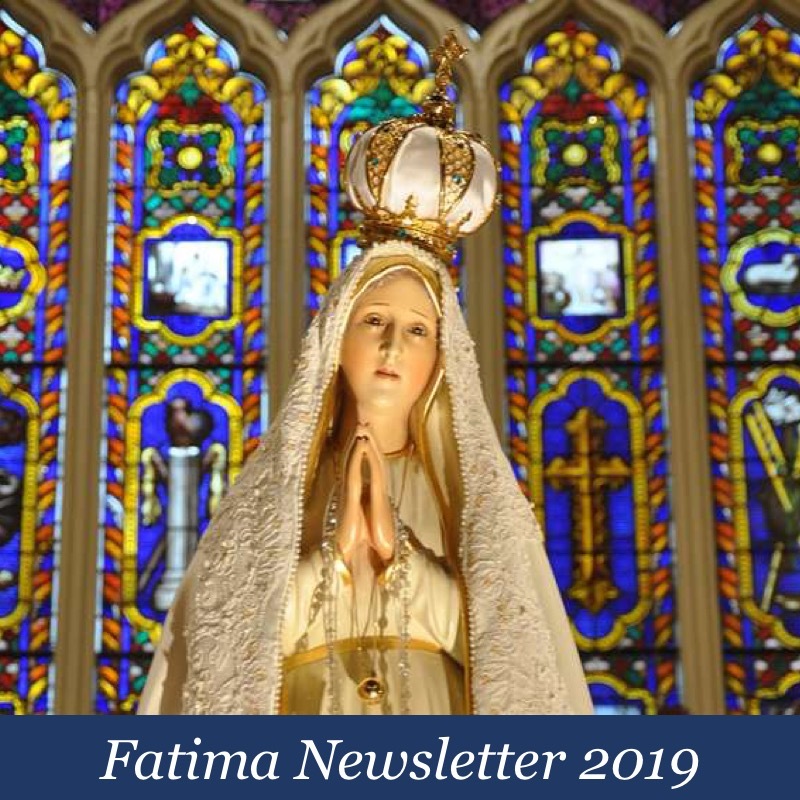 Our Lady of Fatima, Ora Pro Nobis! Precisely!! Know the man you’re going to speak of. Re-read the correspondence between +Lefebvre, of happy memory, and then ++Ratzinger!! The man — Benedict-Ratzinger — is a veritable master of words and game playing. Zero question. The only time Benedict-Ratzinger speaks or acts clearly is when he professes heresy, blasphemy and apostasy. Who sent him on his mission, and by what authority does he have to deny Christ Our Lord in that mission? “Pope Benedict ended a sensitive, fence-mending visit to Turkey on Friday amid praise for visiting Istanbul’s famed Blue Mosque and praying there facing toward Mecca like Muslims. ‘The Pope’s dreaded visit was concluded with a wonderful surprise,’ wrote daily Aksam on its front page. ‘In Sultan Ahmet Mosque, he turned toward Mecca and prayed like Muslims,’…’” Reuters.com, Fri, Dec. 1, 2006. Our Lady of LaSalette said: “There will be two worm ridden popes”. The Vatican will never publish this, as it’s too incriminating. Told to me by Canon Gregory Hesse. God rest his soul. Worth repeating. Our Lady of LaSalette said: “There will be two worm ridden popes”. The Vatican will never publish this, as it’s too incriminating. Told to me by Canon Gregory Hesse. God rest his soul. I try not to get caught up in trying to solve these Papal distractions. They’re not for me to know. I try to keep my head down and be the best Catholic I can be. Louie, recall this headline of 12 March 2013 in The Guardian? In fact so certain were the Italian Bishops’ Conference of the election of Angelo Cardinal Scola that when the white smoke rose the prematurely issued a press release that Cardinal Scola had been elected Pope. 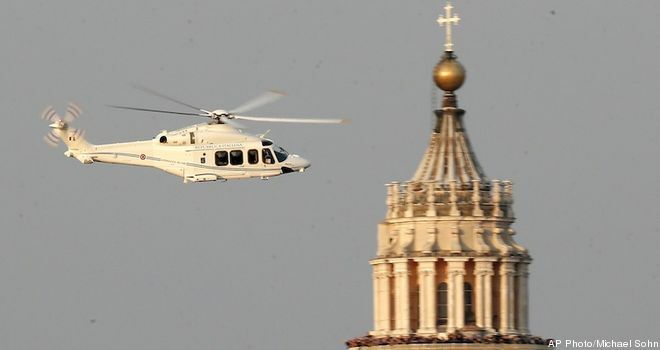 There was, of course, no ‘mafia’ connection associated with Cardinal Scola but the word of the raid surely reached the cardinal-electors’ ears in the conclave, notwithstanding the anonymous source for the ‘mafia’ tip was never revealed. Funny that. May I suggest that Milanese Cardinal Scola was the man who Benedict XVI expected to succeed him. Here is the link to the Reuters article of 14 March 2013 regarding the premature announcement that Cardinal Scola had been elected to succeed Benedict XVI. Why this obsession with Benedict? He served the Revolution against the true Catholic faith and Christ in the way perfect for the time he was a cardinal, Prefect for the CDF and pope by giving his brother revolutionaries more time to embed in the minds and hearts of Catholics who remained in the Church after Vatican II the spirit of revolution and converted them to their Modernist religion. His volumes of Modernist double-speak, double-think would have shocked Orwell but as can be seen, he was able to fool everyone who still supports him even though he is a liar, which this very post proves. Benedict Arnold is like a double agent, talking out of both sides of his mouth, speaking contradictions and throwing the remaining faithful Catholics a few bones to quiet them down while the revolution progressed. He succeeded so well that the anti-Christ’s were not afraid at all to elect Francis who is their true face and true spokesman. With Benedict turning 90 this coming Easter Sunday, I’m wondering if it’s really productive to try to analyze his reported words anymore. My personal experience with relatives who are this age, is that they can have random memory lapses, and even reverse recollections of events they should know like the back of their hand. And then they insist they are right when corrected. Doctors I’ve spoken with tell me this is a normal part of aging, and can occur randomly while everything else they say seems normal, and there is no other apparent decrease in the sharpness of their wit or perceptions. Even if Benedict was or is now senile, Canon law makes no provision I have seen for his replacement, which would still mean he remains the Pope. With Jorge now publicly confirming by letter, his promotion of the sacrilegious reception of the Holy Eucharist by unrepentant adulterers, it seems this current confused situation would be better than the wrecking ball that’s currently battering us. This anti-Chritian has got to go! I’m putting this additional thought after my comments on this subject, because I’ve done more research. I still believe we are free to denounce the errors in order to warn people, but according to this link, it is usurpation of authority if we cross the line into judging Francis as a heretic, which still can be done, but by a Church authority, not individual laymen. It would also appear that we must accept the official judgment of the Church on whether or not Benedict is actually resigned, even though we can discuss the various aspects of it, keeping that in mind. Steve Skojec over at One Peter Five has an interesting take on the prophecy of two popes by Anne Catherine Emmerich. When you read the prophecy in full, ACE seems to refer to two Popes living at different eras in the Church. The first is Boniface IV who threw the idols out of the Pantheon and the Church at large. The second future Pope reverses this good work of Boniface and reintroduces idol worship into the Church. It doesn’t matter how often Benedict protests that his resignation was freely made – he has claimed that ab initio – what matters is whether the resignation objectively fulfilled the criteria for a valid resignation from the papacy under the laws of God and of the Church. Resignation of the Chair of Peter is something that may arise only in very exceptional circumstances. Benedict has not demonstrated exceptional circumstances such that resignation is in order. He has acted as nothing other than the proverbial “useful idiot” for the enemies of God and the Holy Fauth since the terrible scandal of his purported resignation was made known on 11 February 2013. The scandal never ends, just gets worse. Benedict has shown himself to be untrustworthy, whether due to his acting under duress or otherwise. Terribly, he seems more and more like the “chameleon” Pope, which Our Lady of Fatima said would exist in clandestine reports concerning the content of the Third Secret imparted to the children by the Mother of God. Lord, have mercy. Christ have mercy. Lord, have mercy. Louie, another good article. Don’t believe anything you see or hear coming from Rome. Again, this is in writing. No on camera interview or video. Nothing on live “TV” as the the phrase goes. I have a question. Is there something about Jorge Bergoglio that we don’t know about. Something diabolical? Why did the Saint Gallen Group want him, of all people? Why not Daneels or Baldiserri, or someone else. I cannot help but think of one of the last radio interviews that Malachai Martin did on Coast to Coast AM with Art Bell. A caller, called in and said a priest told him that he had seen the 3rd secret of Fatima. This caller stated that the priest told him, that one of the parts of the 3rd secret, said, the last pope would be under the influence of Satan. Martin confirmed the the priest was at least privy to seeing part of the 3rd secret. Is Jorge Bergoglio that man? I do pray for him and all of the clergy that they may remain faithful to the teachings of Christ. Paranoia at the mach-10 level. Do you believe the moon landing and 9/11 were faked? In short, a very unconvincing theory because the “evidence” is stretched beyond the breaking point. – Where precisely in Louie’s article does the evidence stretch beyond the ‘breaking point’? We want sound arguments. Please provide it. Its not a matter of paranoia….its simply a matter of knowing who fr ratzinger always, always was. As it stands right now this man is surely condemned. He is one of the MASTERS of the demise of what most people currently recognize as the Catholic Church. He, like any lost soul, is deserving of our prayers begging God that he (fr ratzinger) may see the errors of his ways and repent, but he is worthy of NOTHING else. Sites like this one exist, in part, because fr ratzinger lived to begin with. Their attacks on Fr Gruner are a red flag and while they may have some accurate info they go off the track with their sede views. They are also under the impression that the Consecration of Russia was done in 1952. I agree with Theresa about the red flags with the Most Holy Family Monastery and the Dimond brothers. They have gone off track with their sede views and with their attacks on Fr. Gruner. I watched the video. They do make some good points, but the red flags keep me on guard. ock–I only had the stomach to watch the first 3 minutes of this. It validates what I believe to be true—the pseudo-church is infested with the demonic. I will watch the rest of it in bits and pieces. Watching this video from beginning to end in one viewing would be too much for me to handle. St. Michael, the Archangel, defend us in the day of battle. That day is NOW!!!! The Dimond Brothers know how to make a good video. Details like the columns of St Peter’s giving the appearance of a cage is clever. You don’t need a blasphemous slide show or a double lightning strike to know where the problems in the “Church” are coming from. 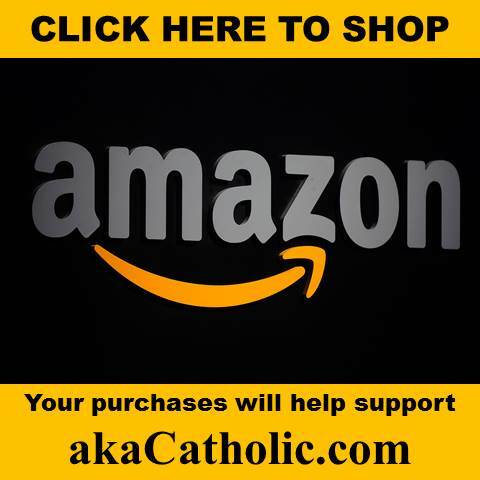 The Dimond Brothers are selling Sedevacantism. Don’t buy it. Please remember that Our Lady never mentioned an anti-Pope at Fatima. Our Lady constantly told the children to pray and make sacrifices for the “Poor Holy Father”. Don’t forget that. Which Holy Father, Benedict or Francis ??? I don’t think the cleverness of the Dimond Brothers made this video demonic. It is intrinsically demonic without anyone’s help. The Ste Gallen Mafia Club was said to have ties to the World of High Financial Institutions in Germany. For a number of werks, ATM Machines in The Vatican did not function. Upon PB XVI’s Abdication from The Papal Throne, suddenly there were no more Financial Problems because The Financiers were rid of Papa Ratzinger. Do I detect someone named Soros in all of this? I just pray the Rosary every day and for the Holy Father, and his intentions, like we were also told to do by Our Mother, and I let Our Mother and God put those prayers where they need to be. They know where they belong. They know where and when these prayers belong. So, I just do it-what she said to do. No one knows what’s going on, not the smartest or dumbest guy out there, not even the prideful, self centered, passive aggressive, and most attention seeking and distractful sedavacantist out there-Absolutely no one but Our Lord. Does the evil side know? I guess they know. They do a heck of a job keeping it secret though, right? The evil side is very powerful here, on earth. They cover things up well, and, in the process, keep us busy running around trying to fugure everything out. Do your daily duties-your daily duties, which Our Mother at Fatima told us to do. – which for SOME of you IS trying to inform others of what’s going on. Thanks Louie. Peace to you all. Find peace close to Our Mother. She will crush his head, and I, stupid as I am, hope to be under her mantle, literally, when she does. It will be AWESOME. Great Advice Cortez Thanks !!!! Great advice to start the home schooling morning. Ann Barnhardts latest article is up and well worth a read …actually worth it’s weight in gold. It’s plain the devil would love to keep up this dividing of Catholics, as he always sews discord and confusion. I’d join those who advocate throwing in the debate- towel and saying we’re forced to leave it all to God because it’s beyond us to figure it out; if it were not for the fact that my rightly- formed conscience has been steadfastly SCREAMING IN AGONY for 3 1/2 years now since March 13, 2013, while I waited dutifully for some irrefutable, definitive proof of public, pertinacious heresy from this active destroyer of what I hold most precious in this life, to FORCE the hierarchy to act. 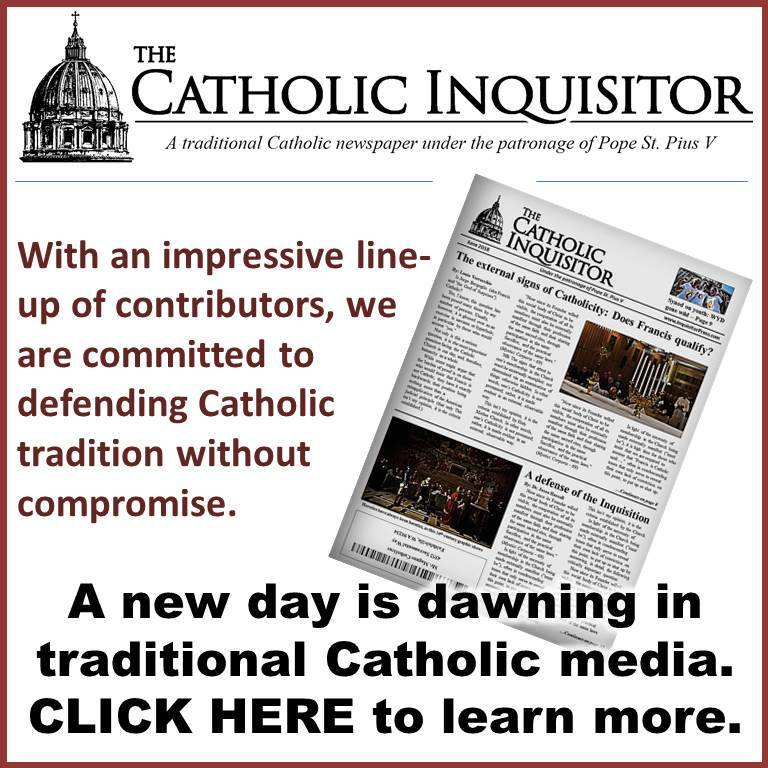 (We all know, Amoris makes no mention of “living as brother and sister” and in fact, makes it obvious no restrictions of that kind are intended to be placed on the “couples” in question) -which is what raised what little outcry there has been from those Cardinals and Bishops calling for Amoris to be “clarified”. Others, less timid, like the Remnant, in its open letter, called on Francis to renounce his heresy and return to the Faith. There has been no public response to that. Someone immediately correct me if I missed it, please. At the very least, we must raise an even greater outcry against this, for the sake of those who might follow this man’s instructions to their eternal deaths. The Eucharist is NOT EVER for those without Sanctifying Grace, and if they take it, they eat unto their own condemnation. A GRAVE MORTAL SIN. 3. HOLY EUCHARIST? The Body, Blood, Soul and Divinity of Christ is now open to unrepentant adulterers who might otherwise be placed in the horrifyingly awkward position of having to explain to their illegitimate children why they cannot receive alongside them at Mass. THAT would be the scandal? 4. The priest is to consider anyone who walks into a confessional, absolved without saying a word as the mere act of entering, proves their sincerity, don’t you see? 6. Holy Order has been an attack in progress for over 60 years or more, as Francis the destroyer places more and more of his chosen ones around the globe and on Church Councils; calls for discussion of female deacons ,purges seminaries and parishes of traditionally minded clergy, re-writes the constitutions of contemplative orders, so they are no longer praying and sacrificing in seclusion, but must join his worldliness in mingling with the world or face psychological discharge..the list is almost endless. Coming soon: who needs a male priesthood or the teaching of the past that explain why it must remain so?. 7. How many people are still calling a priest for a last anointing for the dying, and under these circumstances how many will in the future? Against my entire upbringing, I would have to declare the Papal seat empty right now, at least as far as I am concerned, were it NOT for the Benedict situation. Common sense and canon law tell me that for a Pope to resign there must be SERIOUS reasons, and he has to intend to renounce the entire papacy in doing so– not plan on ” changing it forever” into a novel notion of shared Petrine ministry. Now that he has contradicted himself about his original reason for stepping down, saying he WAS ABLE to perform his duties back then, but felt someone else could do a better job organizing, and handling challenges like travelling to World Youth Day, I’m left with him still being the Pope until he’s dead or resigns completely Jorge Bergoglio is therefore just what he appears to be–a human bull-dozer of my Church who has yet to accept the true faith, and NOT the Pope, thank God. I continue to pray, but I can’t give him the benefit of any more doubt concerning his heretical beliefs. God judges souls. Responsible, informed Catholics must judge verifiable words and actions, and do our duties to protect the innocent in our midst. One other note to be perfectly accurate regarding Amoris and it’s not mentioning “living as brother and sister” as the Church teaches; That phrase IS used in the 329th footnote, to describe what it claims- often endangers faithfulness , and causes “the good of the children to suffer” which Gaudium et Spes – which it was taken from, mentioned as an occasional occurrence in validly married life , concluding that it in no way justifies evil solutions like contraception and abortion. -another discussion entirely. Sorry to backtrack but after additional research on this subject I have to add this. I still believe we are free to denounce the errors in order to warn people, but according to this link, it is usurpation of authority if we cross the line into “officially” judging Francis as a heretic, which still can be done, but by a Church authority, not individual laymen. Lifesite News reports that the Vatican has now confirmed the Pope’s letter as authentic. “…The letter set off an explosion of comments since many held that the Pope did not agree with the thesis of Cardinal Walter Kasper which was that in certain cases Holy Communion could be administered for such couples. Many comments suggested that the letter could not be authentic. 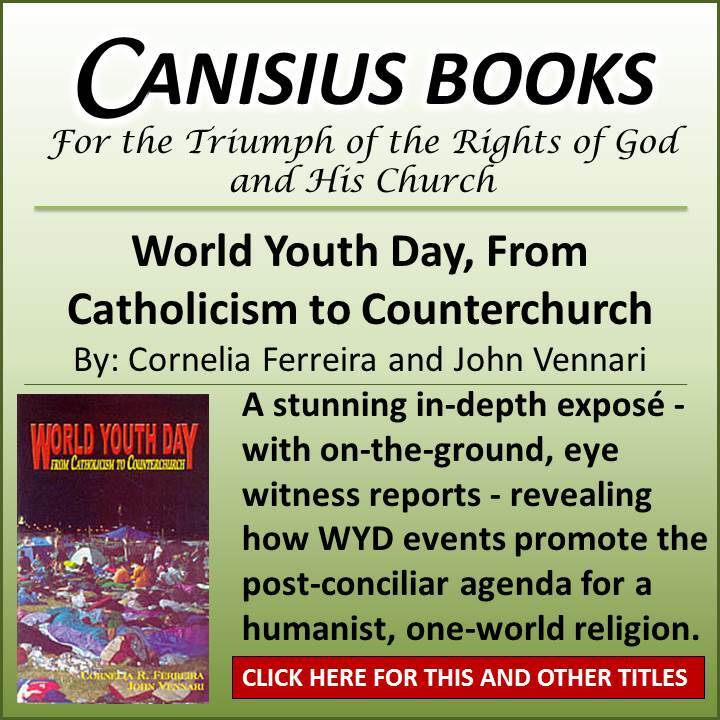 Now, however, Vatican Radio has itself reported the letter as authentic, including specifically in its most controversial aspects – that of allowing communion to divorced and remarried Catholics in some cases and that there is “no other interpretation” other than that.